It all started with Asclepius, the Ancient Greek God of Healing, who was always represented carrying a wooden rod with a snake around it. In Greece the snake was associated with wisdom, healing and resurrection due to its ability to shed its old skin after growing into a new one. Harmless snakes were even kept in temples dedicated to the God of Healing, where the sick would come and hope to be cured. It is from these ancient times that the Rod of Asclepius developed into the symbol of doctors in the West. 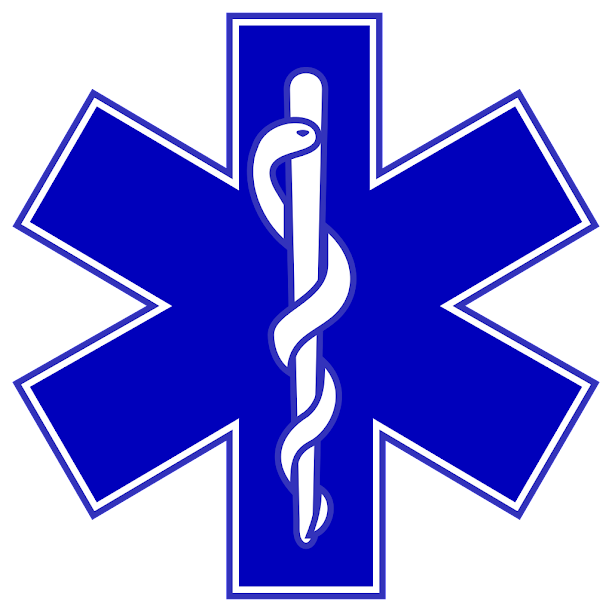 This symbol is part of the Star of Life, which is found on ambulances and represents emergency medical services in the US and many other countries. 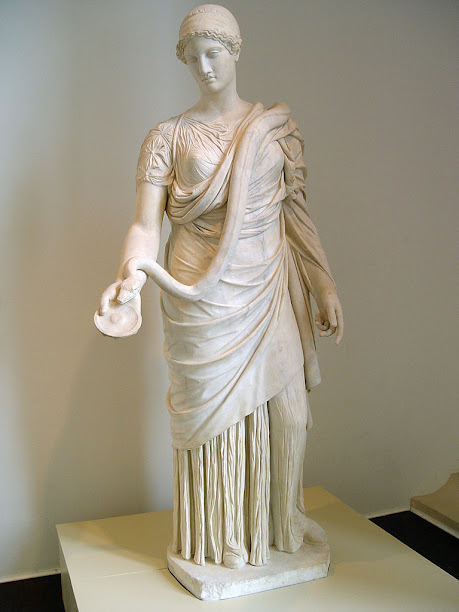 Among Asclepius’ daughters is Hygieia, the Goddess of Cleanliness, whose name gave us the modern word “hygiene.” Hygieia was often represented carrying a jar or a cup, with a snake drinking from it. The cup with a snake is known as the Bowl of Hygieia and has become the symbol of pharmacy in most western countries, where it identifies pharmacists and stores selling medication. Another daughter of Asclepius’ is Panacea, whose name means “universal remedy” and is still used today to mean “a solution to all problems.” She was thought to have a potion that could cure every disease, and in that sense she represents medicine’s ambition. There is, however, no symbol for Panacea. Because Hermes was the protector of travelers and tradesmen, his Caduceus became a symbol of commerce. It had nothing to do with medicine at all until the 19th century, when the US Army started using it on the uniforms of its medical personnel. It is not clear whether this was the result of a mistake or a deliberate choice. In any case, it became wrongly associated with medicine and the confusion continues today. In the end, there are only two symbols everyone agrees upon. 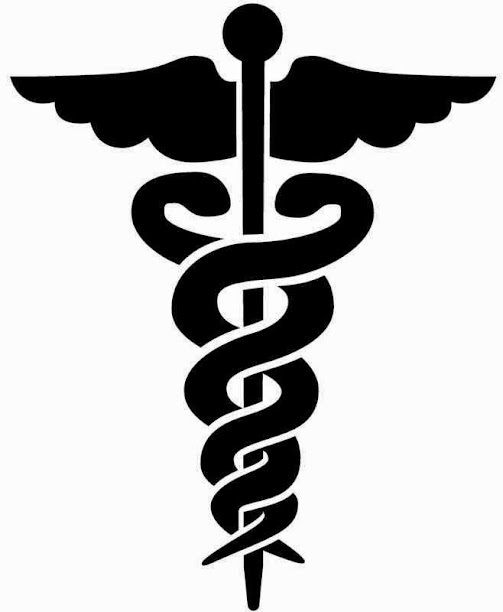 The Rod of Asclepius, one snake around a rod as the symbol of doctors, and the Bowl of Hygieia, a snake drinking from a cup as the symbol of pharmacists. Both are based on the single snake, which represents wisdom and healing thanks to its skin-changing abilities.